How to bring your rental kitchen alive! There are plenty of advantages to renting a home, but as expected (and well-understood by renters themselves) there are also plenty of disadvantages! One of the biggest drawbacks and frustrations is the lack of ability to permanently alter the interior of your dwelling. This rings particularly true in the kitchen, where it is almost impossible to change or improve many of the structural features. However impossible it may seem to bring your rental kitchen alive, there is always a solution to enhance and transform the space. Whether you have a less-than-ideal cooking area replete with faded joinery, busted worktops and shabby appliances, or a fabulous newly installed kitchen, you will undoubtedly find a way to personalise and boost your domestic cooking space. There are also countless challenges when it comes to updating a rental kitchen. First and most importantly you don't want to overcapitalise on a place that isn't your own. All of the changes you make should be able to be altered back to their original state, primarily to keep the landlord happy, and most importantly to ensure you receive your initial deposit once you leave. 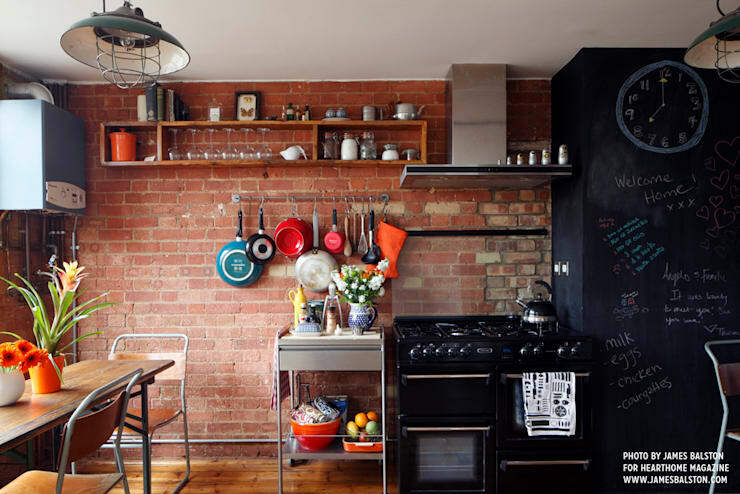 Here at homify we understand the irks and issues that arise from living in a rental situation, and have come to the rescue with a few handy hints and top tips. Read on to learn more about how you can update and refresh your kitchen, without upsetting landlords, or spending too much money and blowing your budget! Often as a renter you are unable to change any of the main features within the house, but you will be able to paint walls. This is a huge benefit within the kitchen as it can drastically transform the overall appearance of your space. Consider a chalkboard paint for one of your walls as the dark black or green hue will distract from any unappealing joinery. Better yet, the chalkboard will allow you to draw different designs, inspiring quotes, or simply make lists easily and simply within the space. Light fittings are one of the easiest alterations you can make to the existing décor in your rented kitchen. 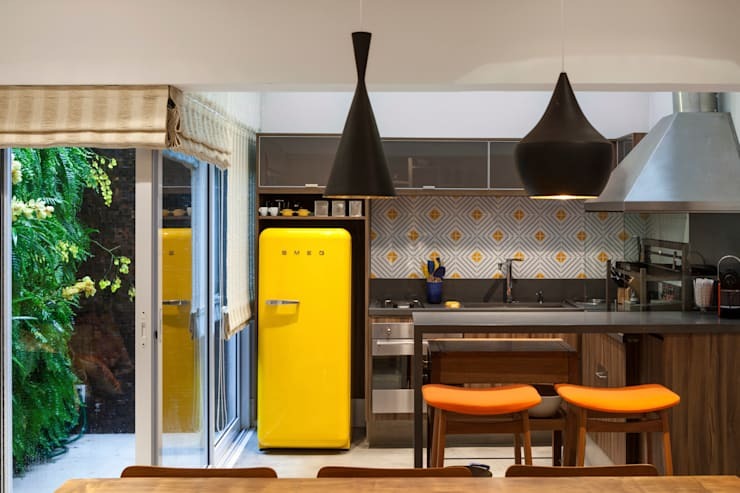 Pick something that suits your furniture, as well as something bold or interesting to distract from a simple kitchen design. If you're on a budget or looking for a DIY project, vintage light fittings can provide a holiday project and look effortlessly chic. One of the biggest issues in rental kitchens is the lack of storage space. If you have an older kitchen, it is likely that it was designed and built without the considerations of a modern lifestyle. However, you can still create storage within your home, without adding cupboards. Hanging rails and butchers hooks offer a place to keep your stylish or colourful cookware in an easily accessible space. There are a range of different hooks, rails, and holders for external pot and pan storage, but should you need assistance, contact an expert. If you can't change your kitchen, why not add to it? Stylish eye-catching furniture is an ideal way to incorporate fabulously attention-grabbing features simply and easily. 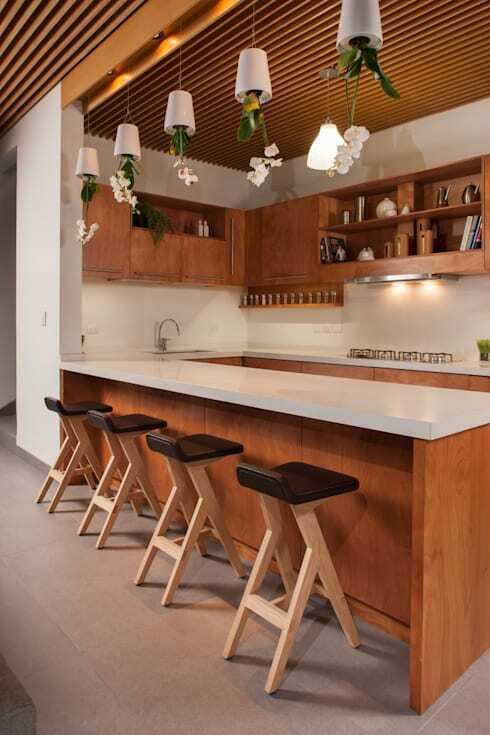 Stools are an obvious choice as they impart an immediate effect on the guest or occupant. Choose something interesting or unique, and watch your kitchen space come alive! Within rental properties, floors tend to be the least looked after space within the home. This could be because of the high cost of maintaining or re-flooring a dwelling, or simply a high level of foot traffic, but either way you are going to want to hide any imperfections on the floor. A rug is the ideal solution to this problem, and can be purchased in numerous colours, shades and hues, adding to the liveliness of your dwelling. If you are worried about keeping a rug in the kitchen clean, you can purchase plastic rugs that are simple to maintain and look great. Last, but certainly not least, we are taking a look at a way in which you can create a little verve and vivacity within your rental kitchen. It is absolutely astonishing how fabulous a space looks with the regular inclusion of a bunch of fresh flowers. Flowers can be grown in your garden then cut directly for your space, or there is always the alternative subscription service to a florist who will deliver a stylish bunch of colour on a regular basis. 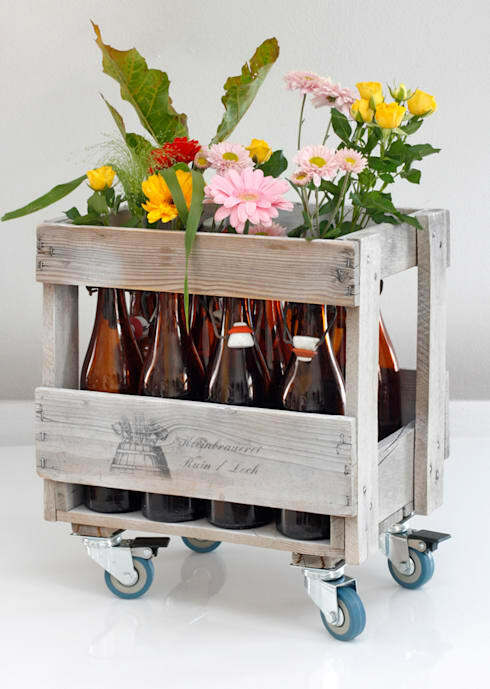 If you want to go that little extra step further you can consider different ways to store your flowers in the kitchen. This example shows a lovely timber holder that effortlessly contains numerous bottles to stand your flowers in. If however, you simply don't have time or the patience to deal with live flowers in your kitchen you can look for some good quality fake flowers that will provide a similar effect. Moreover, low maintenance plants such as cacti and succulents are a lively and easy to maintain addition. 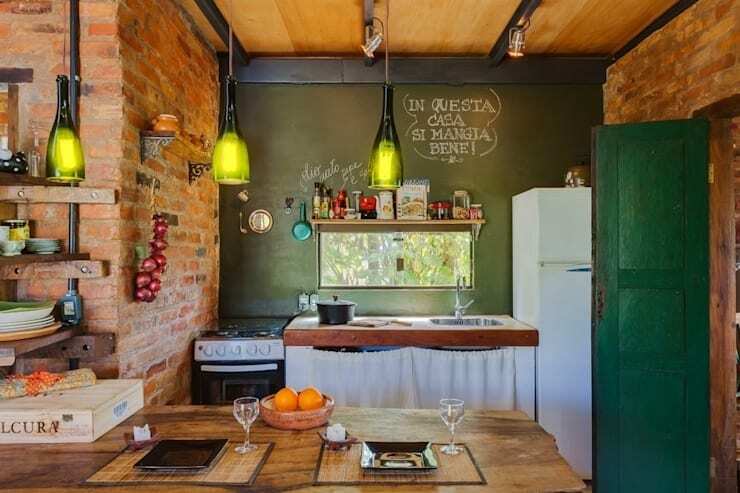 Did this Ideabook provide you with some handy ideas and inspiration to fix up your rental kitchen? If you need a little more domestic encouragement and motivation, check out: Dust bunny infestation? These tips will help! Are you renting a home? Perhaps you have some helpful tips for our homify community. If you would like to contribute, leave a comment below!